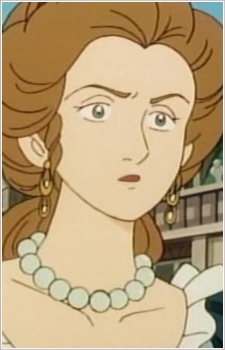 Anne d'Autriche is the Queen of France. She was born in Madrid, daughter of Philippe III of Spain and Marguerite of Austria. Her marriage with the king Louis XIII is the continuation of a long arrangement aiming to bringing closer France and Spain putting an end to centuries of conflicts. For this reason she is not really in love with her husband. She moreover is hated by Richelieu who never approved of this marriage and who constantly is suspicious, blaming her of espionage. Her feelings belong to the Duke of Buckingham, even if their love can never be shown openly.